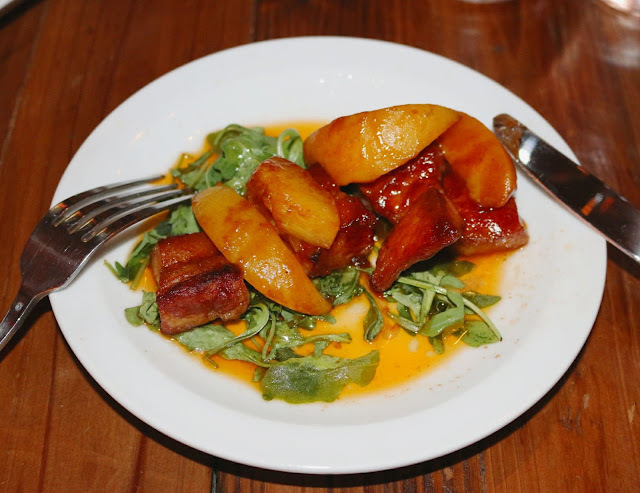 Located in Old City, Common Wealth brings forth the tastes of Carolina low country cuisine. Chef Joe Battista highlights seafood, heirloom grains, and fresh produce in an effort to provide flavors that you don't often find in Philly. Common Wealth's interior is charming, with indoor street lights and murals creating a convivial atmosphere. In addition to a full bar featuring whiskies and craft beers, they offer a variety of specialty cocktails. The GF enjoyed a seasonal take on the Moscow Mule and I indulged in a sazerac, with the spice of the rye whiskey nicely balanced by the sweetness of the absinthe rinse and the herbal notes from the bitters. 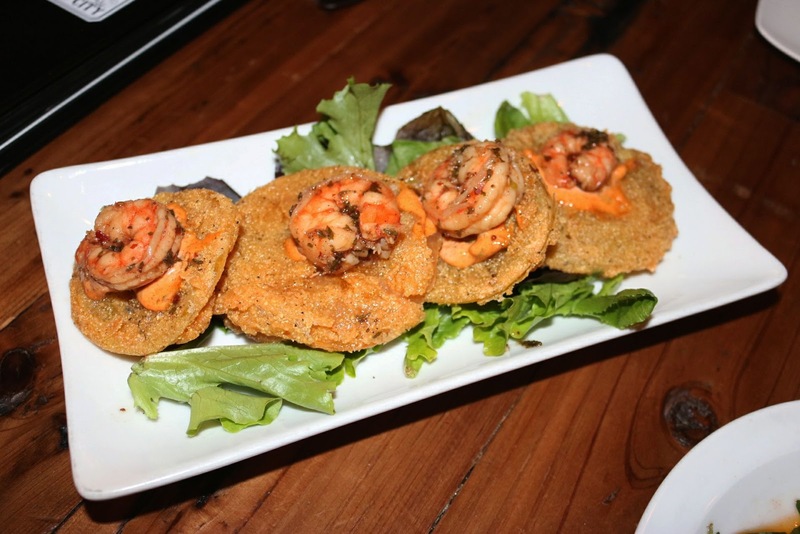 I loved the cornmeal crust on the fried green tomatoes - great texture and held up well to the stewed onions and the snappy pickled shrimp on top. The kick from the remoulade really made each bite. The ravioli are a sleeper hit. 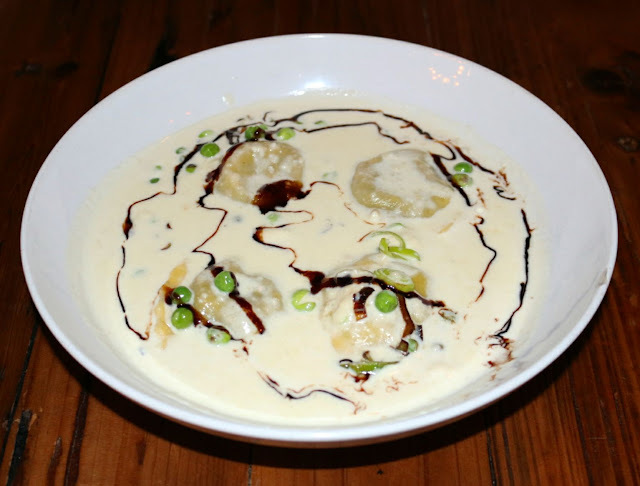 The al dente pasta housed an oyster mushroom filling laden with an earthy umami. The Parmesan creamed leek sauce had a great burst of flavor, with a punch of acid coming from the wine reduction. 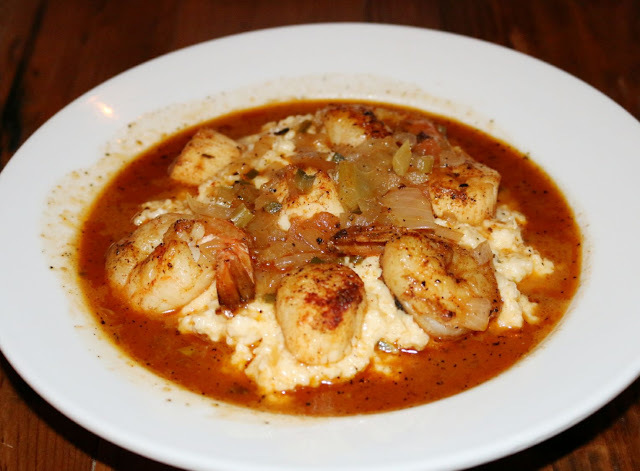 I'm a sucker for shrimp and grits and I'll vouch for Common Wealth's iteration. Grits were spot on, with the poblano and cheddar really coming through. I could easily eat a pot of these alone. But with the depth of the lobster etouffee? Even better - especially with the kick from the cayenne and black pepper. Seared shrimp and scallops were simply an added bonus to round out the dish. So if you're in Old City, I'd definitely recommend stopping by Common Wealth. 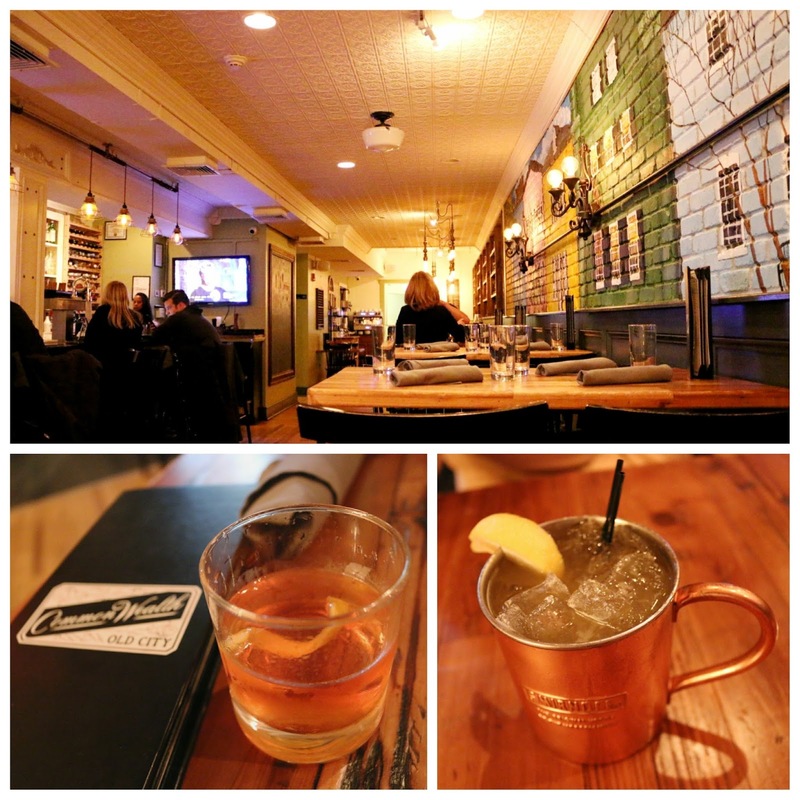 In addition to their regular weekday happy hour from 5-7PM, they have specials on Fridays and Saturdays from 9-11PM. On the weekends, they also offer up brunch - pork belly hash, croque madames, and lobster benedicts are calling your name! FTC Disclaimer: Thanks to Common Wealth Old City for inviting us in to try their dishes. Regardless, my opinions are mine alone and, therefore, unbiased.